Sigurd Eskeland (pictured right) won event No. 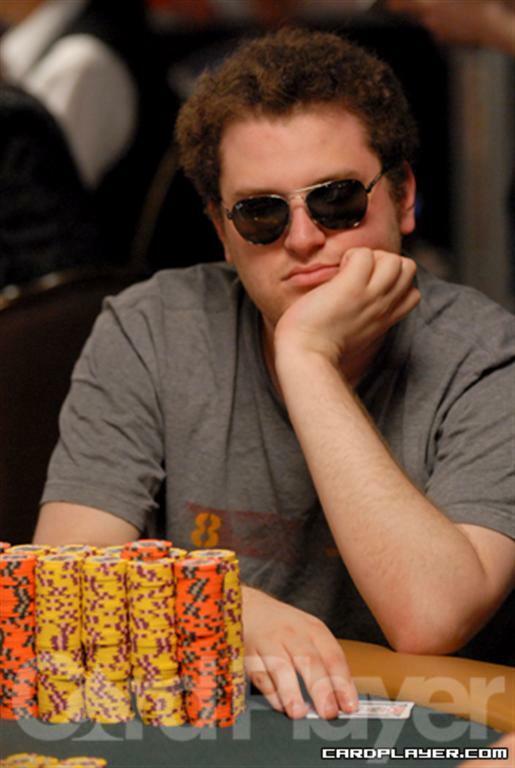 48 ($2,500 mixed event) at the 2010 World Series Of Poker to take home his first career bracelet and $260,497. It was his third career cash at the WSOP and first ever final table. Eskeland entered the final table in the middle of the pack with Scott Seiver, Kirill Rabtsov and Steve Sung there to join him. He battled hard and eventually got heads-up against Sung holding a 2-1 chip lead. Sung showed his skill by coming all the way back to tie up the match and even take a slight chip lead at one point. It was his seventh WSOP final table and he was in search of his second bracelet. Sung was in great position to capture his bracelet on the last hand of the night as he held pocket queens against Eskeland’s A 9 in no-limit hold’em. Eskeland held a very slight chip lead and would have been crippled if he lost the hand. But it must have been written in the cards for Eskeland as he hit a backdoor club-flush to crack Sung’s queens and take down his first bracelet. There were 20 players who returned on the final day and it was stacked with notables. Todd Brunson (10th), Alexander Kravchenko (11th), Dario Minieri (14th), Kirk Morrison (16th), John D’Agostino (17th) and Bill Chen (18th) all fell short of making the final table. Scott Seiver raised before the first draw and Kirill Rabtsov three-bet it to 45,000. Seiver made the call and each player took one card. Seiver led out for 15,000 and Rabstov raised to 30,000. Seiver made the call and Seiver stood pat. Rabtsov took one card and Seiver led out for 30,000. Rabtsov made the call and he was all in. Seiver stood pat again and Rabstov drew one last card. Seiver then showed an 8-7 while Rabtsov paired fours and he was eliminated. Jared Jaffee, Steve Sung and Nikolai Yakovenko were each involved in a hand that saw the action raised multiple times. By the time the second draw came around, Jaffee was all in and Sung had gotten out of the way, leaving Yakovenko alone to deal with Jaffee. Yakovenko stood pat the rest of the way while Jaffee took one card on the second draw and another on the third draw. Yakovenko tabled an 8-7 low after the last draw while Jaffee could only squeeze out a 10-6 low and he was eliminated. Seiver’s pocket aces were ahead but the board ran out Q 4 3 6 J , giving Sung two pair and the best low to scoop the pot and eliminate Seiver from the tournament. Steve Sung raised the pot from the small blind and Stephen Su moved all in from the big blind. Sung made the call and Su was at risk. The board ran out J 8 5 9 2 and Sung made a heart-flush to eliminate Su from the tournament. Steve Sung raised to 50,000 from the button and Nikolai Yakovenko three-bet to 75,000 from the small blind. Sung raised one more time to 100,000 and Yakovenko moved in for the rest of his chips. Sung made the call to put Yakovenko at risk. Sung was ahead with his pair and the board ran out 4 4 3 6 8 and Sung’s pair held to eliminate Yakovenko. Steve Sung raised to 80,000 from the button and Sigurd Eskeland made the call from the small blind. Alexander Wice then three-bet to 120,000 from the big blind and Sung put in another raise to 160,000. Both opponents called, Wice putting himself all in. All three players took one card on the first draw. Sung and Eskeland both checked and all three players took another card on the second draw. Sung then bet 80,000 with Eskeland making the call. Eskeland and Sung then drew another card on the last draw while Wice stood pat. Eskeland then led out for 80,000 and Sung let his hand go. Eskeland then tabled 7-6-4-3-2 to better Wice’s 8-7 low and Wice hit the rail in third place. Sigurd Eskeland raised to 80,000 from the button. Steve Sung then made it 260,000 to go. Eskeland responded by moving all in and Sung snap-called. Eskeland turned over A 9 and was hurting against Sung’s Q Q . The flop came down 9 4 3 , giving Eskeland a top pair on the board with backdoor-flush possibilities. The turn was the J , giving Eskeland more outs to his flush. The river then brought the 2 , completing the miracle for Eskeland as he won the hand. The stacks were so close between the two players that they needed a count to see whether Eskeland had Sung covered. Finally, it was confirmed that Eskeland had just a few more chips and he took home his first bracelet. I can't believe Sigurd won this event. Hopefully I'll get a crack at him and others if I win a free seat in Fantazzle.com's fantasy poker game. It's FREE, so why not give it a shot, right?